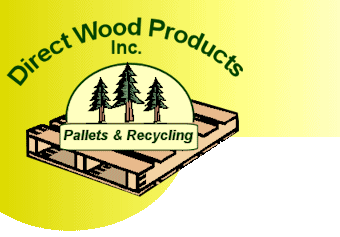 Direct Wood Products can custom design new pallets to client specifications or revitalize damaged pallets for reuse. 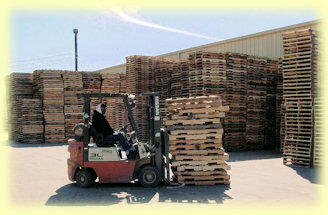 DWP offers pallet service in a wide variety of materials including wood, plastic, and cardboard. DWP has a special heat treatment chamber for industrial pallets intended for overseas export. After delivery, DWP offers professional pallet management and logistical support to assist clients in efficiently managing and controlling pallet inventory. This is especially important in industries subject to cyclical peaks and valleys in product demand. It assures clients that the needed pallet supply will be sufficient to meet demand at the appropriate time. 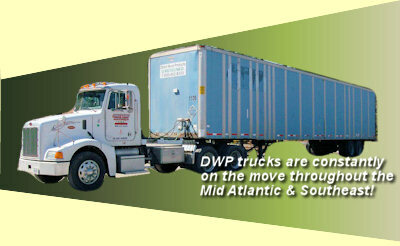 DWP has its own fleet of trucks with over 225 vehicles to meet client pick-up or delivery demands. Our loading docks can accommodate almost any type of vehicle for customers who wish to come to us. Clean, spacious, well-maintained warehouse facilities assure that pallets will be delivered in top condition without deterioration.